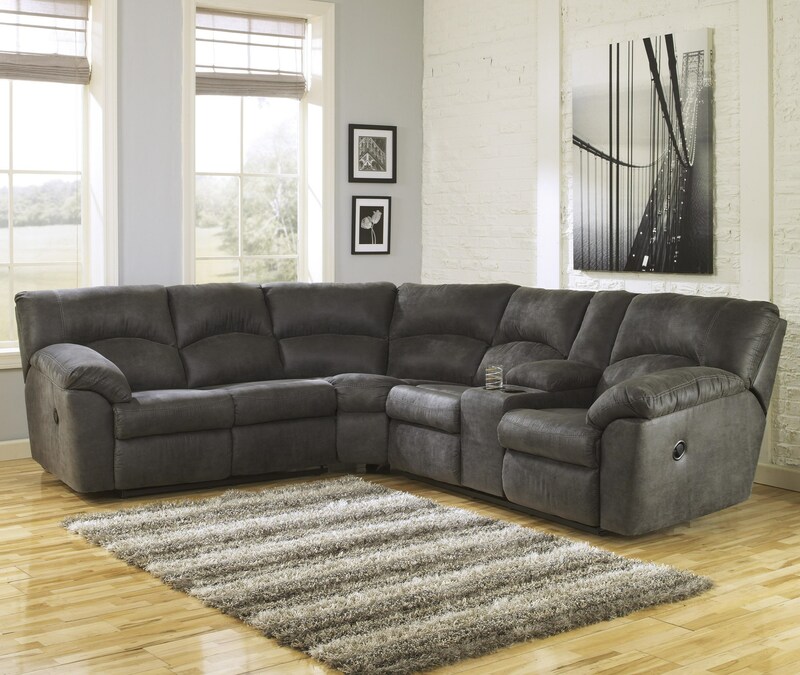 Height (bottom to top) 38"
Depth (front to back) 117"
Comfort with casual contemporary style, this corner reclining sectional is just what you need in your home for watching your TV, socializing, or simply relaxing. Thick padded pillow arms and a plush divided back cradle you with support. 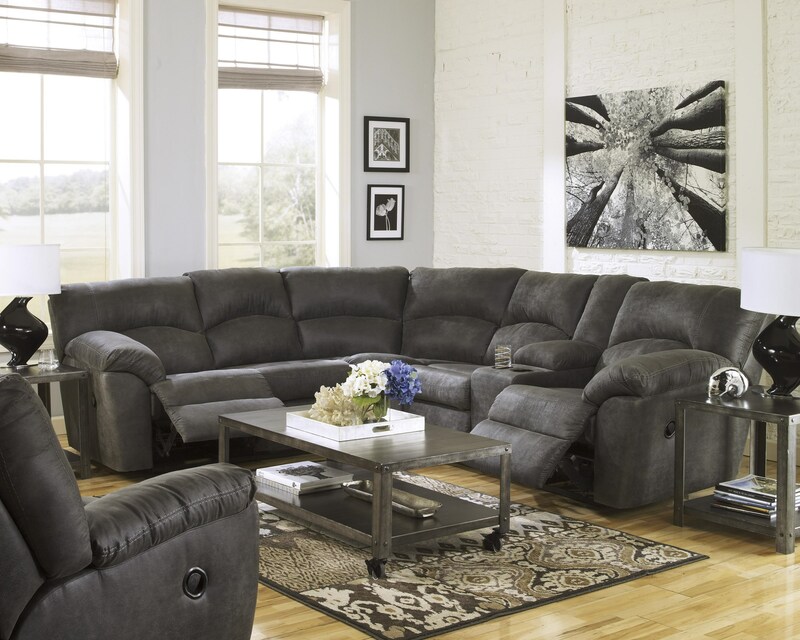 The chaise-over-pad style recline at each end of the sectional offers comfort from head to toe. The console features storage, perfect for remote controls, as well as two cup holders.